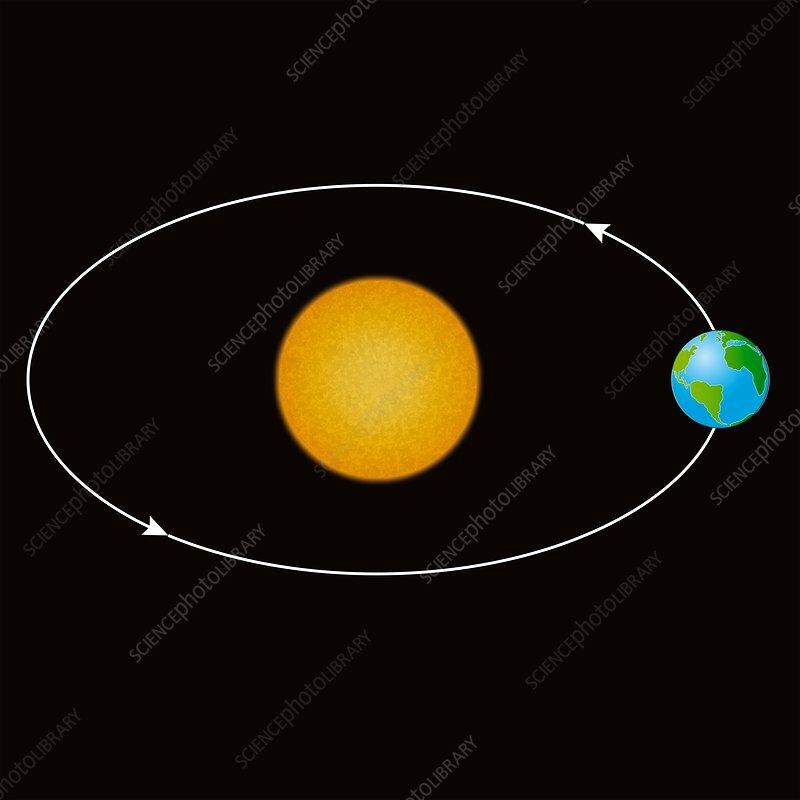 Orbit of the Earth around the Sun, illustration. The Earth orbits the Sun at a distance of about 150 million kilometres, taking just over 365 days to complete one orbit. Like all the other planets the Earth orbits in a counter-clockwise direction when viewed from above (North). In this representation the distances and sizes are not to scale.